At long last. Here's my next post for Autodesk Inventor Publisher. In the last big post, we saw how we could adjust timing to get our time line to show the details when we need it. Now in this post, we see how to add annotations to the post, so we can make sure we include as much key information as possible. By using annotations, value can really be added to files you export out to the end users! Here's the video to go with it. Happy Inventor Publishing everyone! It's been a hectic week working on some tests, a data creation project or two, plus our normal office duties at the KETIV homestead. But I promise to have another, full featured, blog up by Monday (yes, it may have to go that long). But until then. 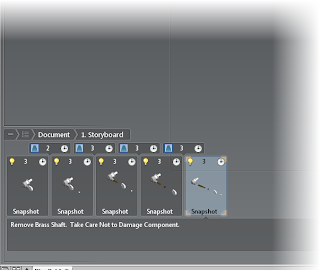 Here's a short litttle Inventor Publisher tip I learned while working on one of my projects! When moving components, click on the glyph to see options align the Triad, show your Trails, or restore your component to its home position. A quick tip on Inventor Publisher Trails! And on one last note.. We created a "commercial" for Autodesk Manufacturing Academy, and I got to be a part of it. Feel free to check it out! This weekend was a busy weekend composed of my usual volunteer gig at Planes of Fame on Saturday, and taken technical test for the new 2012 releases. I love exams! Don't you? So instead of forcing out my next post at this late hour and putting out something half baked, I've decided to hold it back a day or two and make sure it's up to par. Look for the announcement on my Twitter feed, or just check the blog a little later! 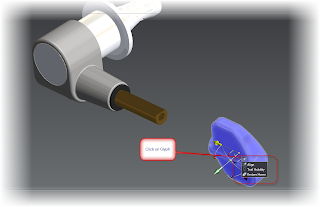 The next post will be on creating annotations in Autodesk Inventor Publisher! 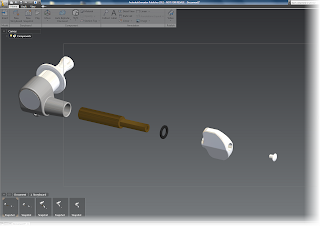 Last week's blog saw us explode an assembly inside of Autodesk Inventor Publisher. Of course, this is the first step of many we can take. We might intend to place these in a document format for a technical manual, or perhaps create a video that can be put on the web or a mobile device. But before we send that data to whatever it's final destination is, why don't we use the storyboard to add as much critical information as possible, as well as make sure that the assembly shows all the information it needs as it comes apart and goes together. So in this week's video, we see how to add descriptions, and adjust timing in our storyboard! I'll admit, I always thought Autodesk Inventor Publisher was a just a "cool program". The power of being able to create documentation was impressive, but I asked myself the question, "What does it do that I can't do using presentation files?" Trust me. Creating exploded views are just the start! I told myself, "I'll have to look into it's capabilities later on". Then, time marched on. I found myself working on Vault, on Inventor, on Showcase. Every once in a while, I'd stick my head up and say, "I need to get back into Inventor Publisher." 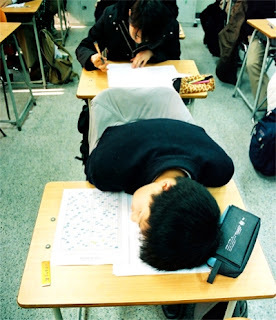 Then I'd put my head back down and carry on as I had before. Nearly a year ago, I saw a presentation on Inventor Publisher's capabilities, and I finally "got it". 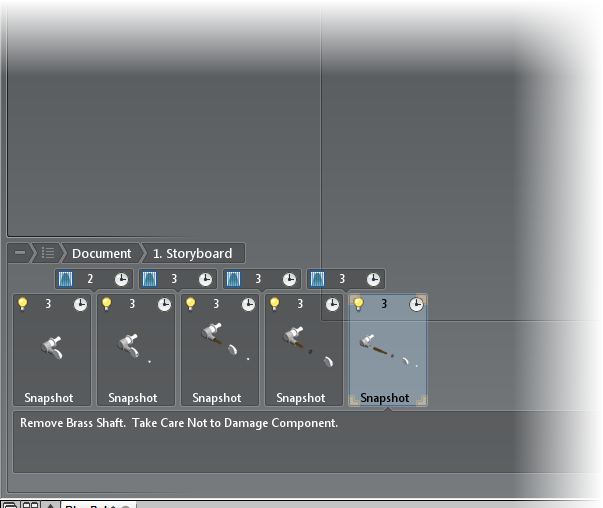 I understood the power of being able to create documentation directly from your 3D model. It can create in in 2D pdfs, publish to a mobile device, you can even use it to create Flash movies! I get it! I get it! I really facepalmed myself for not seeing it sooner. Now, at long last, I've found the time (alright I'll come clean, I made the time) to take a deep look at Inventor Publisher. The more I use it, the more I like it. So I've decided to create a short series on Inventor Publisher. Here's the first installment, inserting a 3D model and creating a timeline in Inventor Publisher. We're just getting started. I'm going to add more in the up coming weeks! I just got back from my July Snowboarding Trip. That's right, July snowboarding. Even up there, I couldn't complete stop thinking about CAD, so between runs, while sitting at the watering hole, enjoying the sun reflecting off the slushy snow, I was thinking about CAD. What I'm going to blog on today isn't exactly earth shattering. 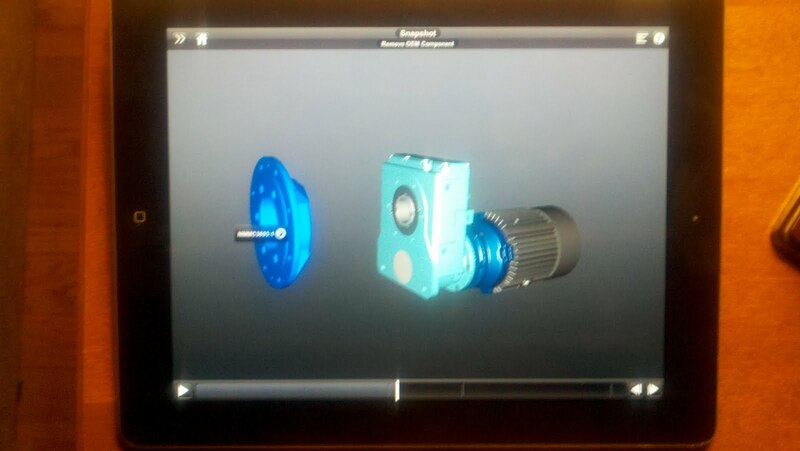 I'm talking about Autodesk Inventor Publisher Mobile viewer. First, what is Autodesk Inventor Publisher? Inventor Publisher let's you create technical documentation, from a 2D instructions in a traditional format, or in 3D interactive formats. If you've never seen Inventor Publisher before. Rob Cohee does a nice job describing it here. If you've heard of Inventor Publisher, then you probably have heard of the mobile applications Autodesk Inventor Publisher Viewer, available at no charge on the Apple Store and Android Market. Once again, I'll rely on Rob Cohee's excellent work. It would be a shame for it to go to waste, and I didn't get a chance to create my own, being on vacation and all! Wonderful! 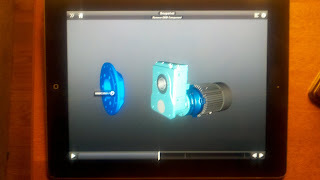 If you have Inventor Publisher, you can publisher them to your mobile device. The Coefficient of Really Cool pegs the meter at a 9+. But now we get to the part of the story where I thought things got interesting. I was talking to someone about Inventor Publisher Mobile, and they stated, "I'm not giving our shop, iPads. They're too expensive and we can't afford to have them get broken." Fair enough! 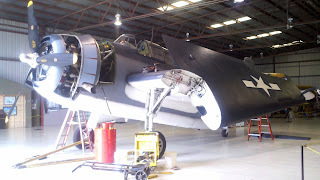 I think of how long an iPad would last in the restoration hangar at Planes of Fame. Probably not long. 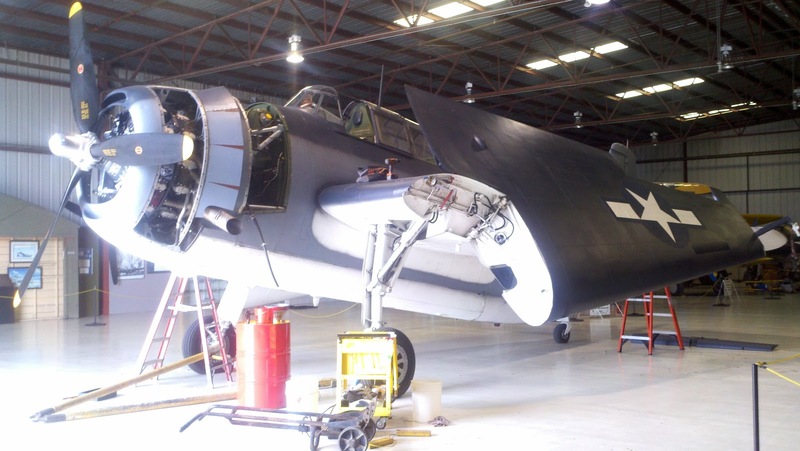 Could you picture an iPad or Droid plummeting to its death off the top of this Avenger? I can. But that doesn't mean that the mobile apps are immediately not an option. How many technical folks out there have personal Android phones, iPhones, or iPads we carry around? Sure if you make components with "some assembly required", you can make the files available on your website. But what you don't do that? To put it simply. I told this user to keep their options open. The shop is just one place you can use the mobile applications! What if you have someone off site, in a different facility somewhere. Maybe they aren't "on the floor", but they need a quick reference of an assembly? Perhaps they don't have Inventor Publisher itself, and dealing with your laptop's boot time is a nuisance (I've been known to put something off because I didn't feel like waiting for my laptop to boot). Then Inventor Publisher Mobile becomes an option. It's quick and it's interactive. You can zoom in on parts and inspect the assembly operations up close. So the morale of the story? Don't limit yourself. Inventor Publisher Mobile applications just aren't for the shop. They're for anyone who can take advantage of them! Once again, I'm delaying this weeks blog post. It's Independence Weekend in the U.S., and I took a snowboarding vacation to Mammoth Mountain. 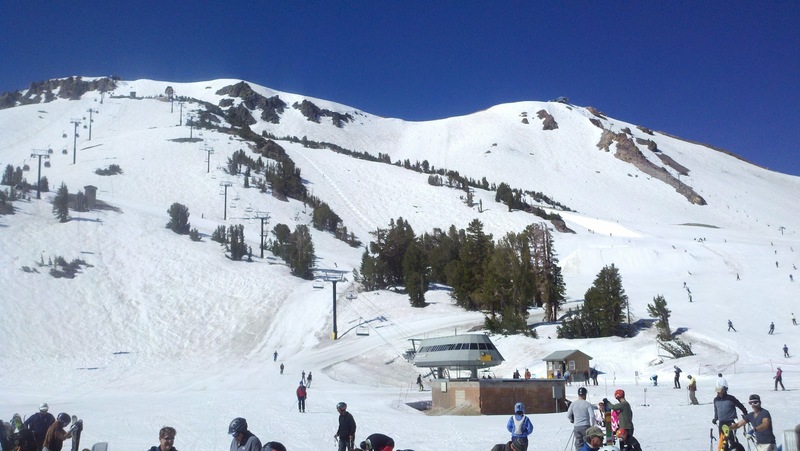 That's right, snowboarding in July, in the Northern Hemisphere! 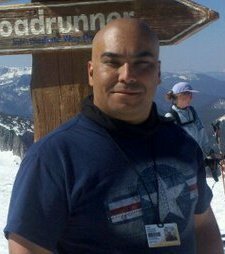 I'll be putting something up a little later, in the meantime, I've got one more day to go enjoy the slopes.